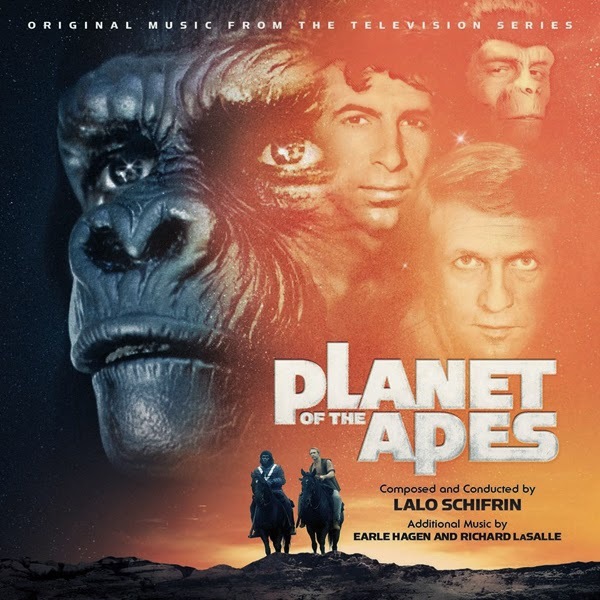 La-La Land Records and 20th Century Fox are proud to present a newly remastered and expanded edition soundtrack to the cult tv series PLANET OF THE APES, based on the mega popular series of films. Produced by Nick Redman and Mike Matessino, this incredible 2 cd set features over 2 hours of music, detailed liner notes by Jeff Bond that take the listener deep into the history of the Apes franchise and art direction you will go bananas over by the one and only Jim Titus. Go APE next week at www.lalalandrecords.com and other fine online soundtrack stores!